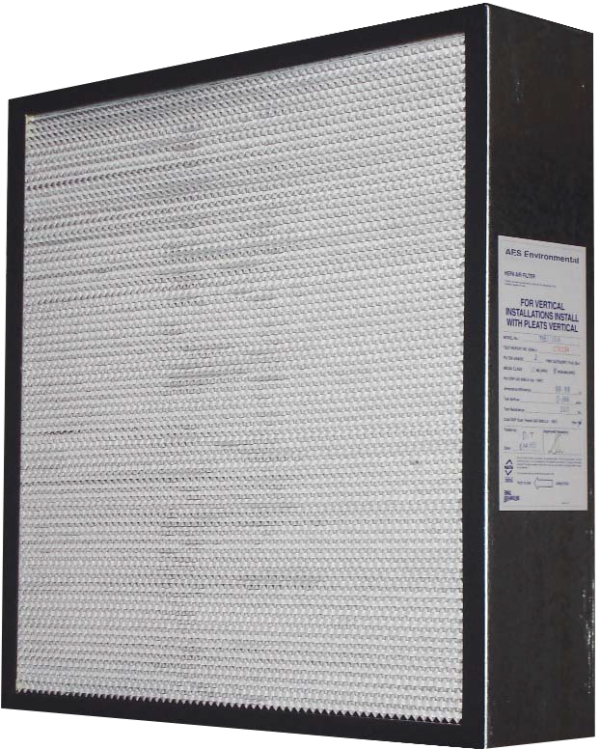 The Email Air Handling HEPA filter is Australia's market-leading high efficiency filter. Manufactured in Australia to stringent performance requirements of AS 4260, each filter is individually tested and certified for your assurance of quality. Email Air Handling HEPA filters consist of a glass-paper filtering medium pleated into a narrow vee formation and held in place by corrugated aluminium separators. The filter assembly is enclosed in a metal frame that can also be supplied with extended flanges for downflow applications. The HEPA filters are available in a variety of frame and separator materials and sealant types for specialised applications.Email Air Handling Fluid seal is recommended to overcome the need for gaskets and mounting clamps in downflow installations. Email Air Handling also manufacture a minipleat range of HEPA air filters. These are made from the same filtering media as conventional HEPAs, however the media is in narrow pleat formation separated by beads of a special hot-melt compound. The resulting light weight and compact dimensions of a minipleat filter make them the ideal choice for low-profile ceiling modules. Laminar Air Flow Pty Ltd v Registrar of Trade Marks FCA1447 and others SPX Vokes UK Ltd.